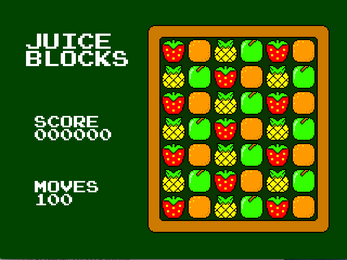 Tap fruits to change them. 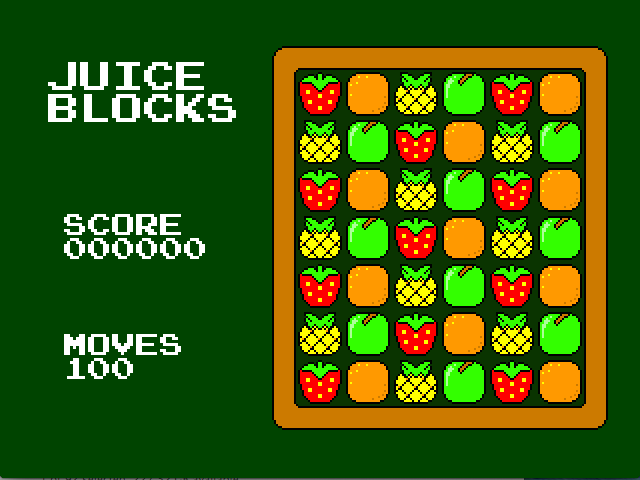 Get four matching fruits in a square to create and clear a Juice Block! Get as many points as you can in 100 moves.